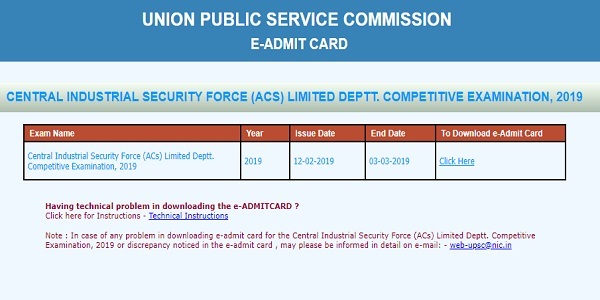 UPSC Recruitment 2019: Union Public Service Commission has released the admit cards for the UPSC CISF ACs Examination (Central Industrial Security Force Assistant Commandants). 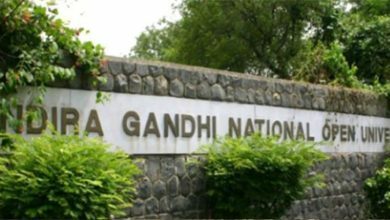 The admit cards for the exam were released on 13th February 2019. The candidates who have filled the examination form can check and download the admit cards from the official website. Here are the details. 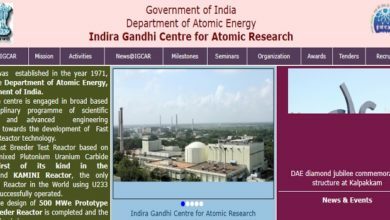 The admit cards for the Central Industrial Security Force Assistant Commandant examination are now available on the official website www.upsc.gov.in. Union Public Service Commission will conduct the examination in the month of March. – Enter all the required details and download the admit cards. After downloading the admit cards for the UPSC CISF AC exam 2019, candidates are advised to check the e-admit carefully and in any case of discrepancies, notice the UPSC immediately. Union Public Service Commission released the official notification regarding the CISF Assistant Commandants Executive Limited Departmental Examination in the month of December last year. The procedure of application form filling started on 5th December and ended on 31st December 2018. The candidates will be selected on the basis of the Written Examination and then the Physical Test. The written examination include the General Ability & Intelligence (150 marks), Professional Skill (150 Marks) and Essay, Precis Writing & Comprehension (100 marks). OIther details regarding the examination pattern can be checked in the official notification.